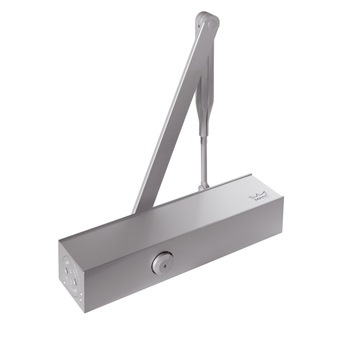 DORMA DOOR CLOSER TS73V is rated 5.0 out of 5 by 1. Specially designed for internal doors, including fire doors, the DORMA TS 73 V is a universal solution for doors of differing designs and styles. The flat and compact format of the TS 73 V means that there are practically no problems with installation; and tried and trusted quality is your assurance of reliability. Rated 5 out of 5 by lys933 from Love it Works perfectly well with my door! Easy to install as well!